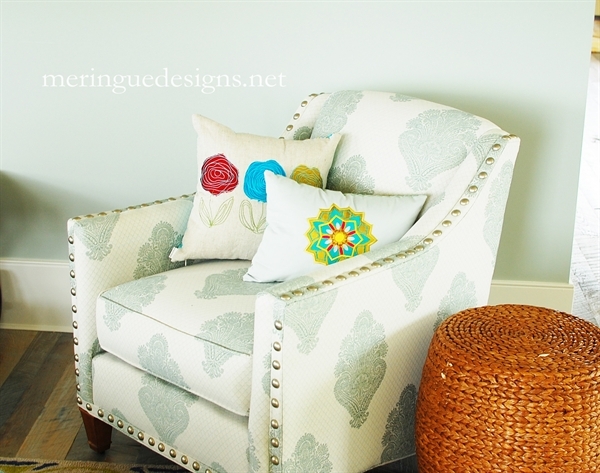 Beautiful and colorful applique in 3 sizes. 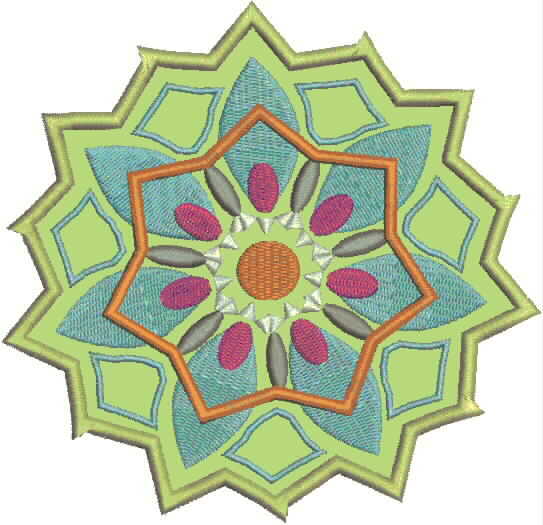 A mandala is a geometric, usually circular, design used in Hinduism and Buddhism. This is my version. 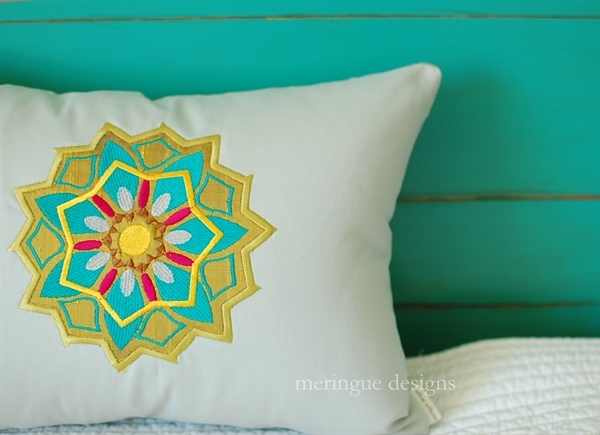 Would look great on pillows and tote bags or zippy pouches. 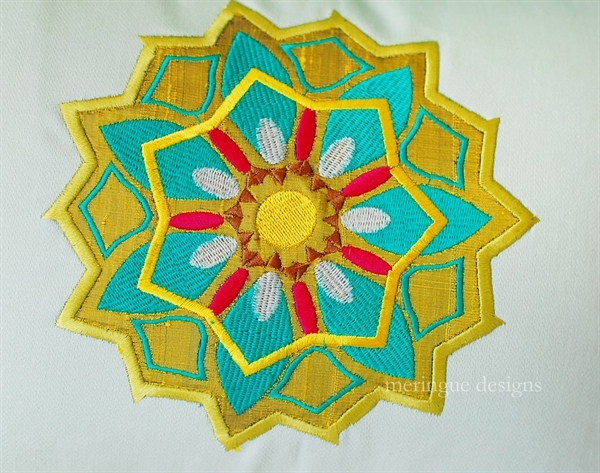 Make sure you stitch this with silk for the applique, if possible, for that authentic Indian look. 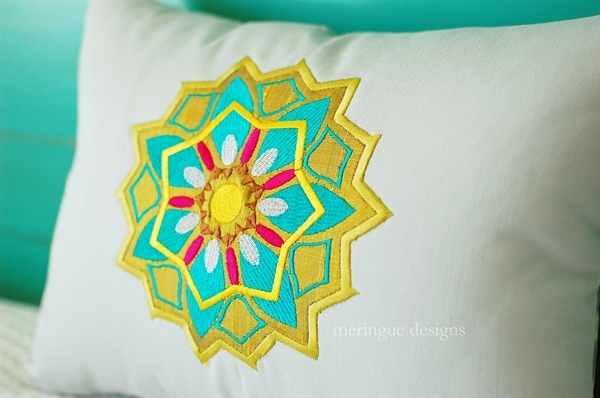 And use saturated, vibrant thread colors as well.